A terrific and comprehensive post on the topic of ISBNs, the unique international identifier given to every book, from ALLi Watchdog Giacomo Giammatteo. 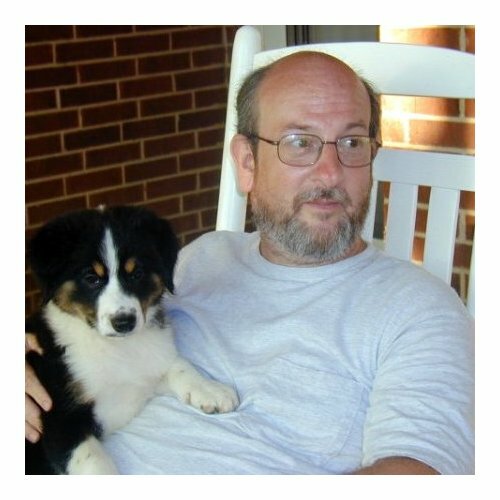 His advice will equip you to make the right decisions for your own self-published books. Be warned—this is a long post, but it covers a lot of ground, so bear with me. The first section deals with everything you need to know about ISBNs, or close to it. And the second section is devoted to a question I get asked all the time: Do you need an ISBN for eBooks? To begin, we’re going to dig a little deeper into the details of those crazy numbers. It seems as if a lot of confusion is tangled up in a string of numbers. And they’re not just numbers—they’re identifiers and they’re damn expensive. In many countries ISBNs are free, provided by the government through the library system or another administrative branch. 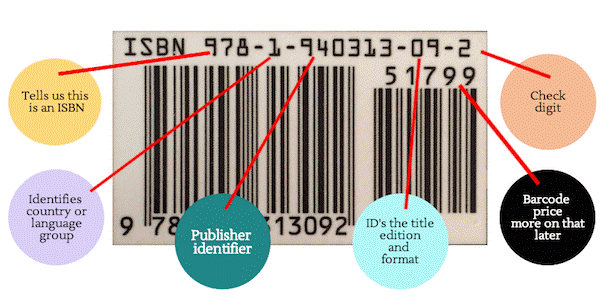 In the US and the UK, ISBNs are controlled by Bowker and Nielsen. I’m going to refer to Bowker most of the time since I’m more familiar with them, being based in the US. With the exception of pricing, the rest of the information should be similar. First let’s take a look at exactly what an ISBN is and what it does. ISBN stands for International Standard Book Number. The purpose of an ISBN is to give your book a universal ID, which makes it easy for bookstores, libraries, readers, publishers, or anybody to find or refer to your book. Every ISBN consists of thirteen digits (since 2007) and whenever it is printed it is preceded by the letters ISBN. The thirteen-digit number is divided into parts of variable length, each part separated by a hyphen. The current ISBN–13 is prefixed by “978” or “979”. Group or country identifier which identifies a national or geographic grouping of publishers. Publisher identifier which identifies a particular publisher within a group. Title identifier which identifies a particular title or edition of a title. That all sounds confusing, I’m sure. Let’s see if we can clarify some of this with an image. Look at the top. The first three digits 978 identify that the numbers that follow constitute an ISBN for a book. The next single digit –1- indicates the book is part of the English language group of territories: US, UK, CA, AU, NZ. Those countries might also be represented by a 0. The third group of numerals –940313- is the publisher identifier. In this case, it is my company, Inferno Publishing Company. This group also indicates how many ISBNs were purchased. Anyone who knows how to read an ISBN will realize this was bought as a part of a block of 100 ISBNs. If it had been seven digits instead of six, it would have told us the publisher purchased a block of 10, while five digits would indicate a block of 1,000. The next two numerals –09- specify the title, edition, and format as designated by the publisher upon registration. The final digit –2- is the check digit. It is determined by a mathematical formula and I have no damn idea how they arrive at it. What this means is that any bookstore, agent, publisher, library—anyone who is familiar with how ISBNs work—can readily identify your publisher number and determine how many ISBNs were purchased in that block. If you purchased one or even ten, they know you’re likely a self-published author. If you purchased 100, there is a good chance you’re a small publisher, and if you opted for 1,000 or more, it seems pretty obvious you’re a larger publisher, or a distributor, or someone who deals heavily in ISBNs. If you purchase only one ISBN the numerals following the country code are always “692” which identifies that ISBN as a single purchase. This applies even if you purchased it from CS using their $99 option. I know what you mean. If you go to Amazon or almost anywhere, you might see an ISBN that looks like this: 9781940313061, with no hyphens. How do you decipher it then? If I go to Bowker’s ISBN converter, I can convert my 13-digit ISBN ( 9781940313061) for A Bullet From Dominic, to a readable 10-digit one, like this: 1–940313–06–6. What does that tell them? On the other hand, if you were to use CreateSpace to purchase your ISBN, this is what the numbers would look like: 978–1–4839–4649–5. Notice that the publisher grouping is only four numbers, which tells us it was purchased as a block of 10,000. 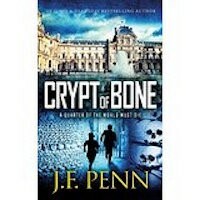 Joanna Penn was kind enough to let me use her great book, Crypt of Bone from the Arkane series, as an example. After converting the number using Bowker’s tool, I get this: 1–4839–4649–5, and if we plugged her old information into a Google™ search, this is what we saw. As you can see from the snippet included with the Google search results, it identified CreateSpace as the publisher of the book. So what? See below for comparison. If anyone wants to know more about who published this book, all they have to do is analyze the number and/or do an Internet search. Let’s plug this number (978–1–940313–09–2) into Google and see what happens. Notice that two of the search results show Inferno Publishing Company as the publisher. In order to do a proper comparison, I felt it necessary to go into a little detail on the various options CS offers for ISBNs. I took this from CreateSpace’s website. What Are My ISBN Options? CreateSpace Independent Publishing Platform is your book’s imprint of record. If you select Amazon.com or Amazon’s European websites as distribution channels, this imprint will be reflected on your book’s detail page. 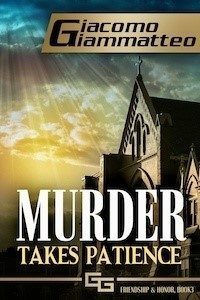 You can sell your book through Amazon.com, Amazon’s European websites, a CreateSpace eStore, and all Expanded Distribution channels. CreateSpace used to offer a custom $10 ISBN. They no longer do. You choose your book’s imprint of record. If you select Amazon.com or Amazon’s European websites as distribution channels, this imprint will be reflected on your book’s detail page. You can sell your book through Amazon.com, Amazon’s European websites, a CreateSpace eStore, and some† Expanded Distribution channels. You can purchase your own ISBN from Bowker or through your local ISBN agency. If you are reprinting your book, the title, author name, and binding type must remain the same. A new edition requires a new ISBN. Your book’s imprint must match what’s on file with your ISBN. You can sell your book through Amazon.com, Amazon’s European websites, an eStore, and some Expanded Distribution channels. With option one and two, you can only use the ISBN with CreateSpace. That means if you want to use Ingram also, you’re out of luck unless you purchase a new ISBN. And if you have to purchase an ISBN anyway, why not do it to begin with. With the Custom Universal option ($99), you can also use Ingram but only if you do not opt into CreateSpace’s expanded distribution. If you’re thinking—I don’t want to use Ingram—you might check the post I did on that. If you sell many print books at all, you’ll make more money using both CreateSpace and Ingram. What About CreateSpace Being Listed As Publisher? The question is—does it matter who shows up as the publisher? Readers won’t care, but some bookstores might. It has long been rumored that independent stores don’t like to carry books published by CreateSpace. I wondered how much of that was true so I got on the phone and called some. This was by no means a scientific study; I simply spoke to about a dozen stores and asked them if it mattered. I expected them to say no, it didn’t matter. But to several stores it did. Out of 13 stores that I asked, 7 of them said they would not carry a book by CreateSpace as the publisher. If your strategy depends on selling through brick-and-mortar stores, you might consider buying your ISBN through Bowker or Nielsen. Now to answer some other questions. Where Does The ISBN Go On A Book Cover? As stated before, if you’re in the US, there is only one place to purchase an ISBN in your name, as a publisher—Bowker. Here is the link to My Identifiers. Even if you buy the ISBN from Ingram or CreateSpace you have to agree to Bowker’s terms, as the other companies are simply acting as agents for Bowker. If you are in the UK, you buy them from Nielsen. To look up the agency for where you live, go to this site and use their search tool. How Many ISBNs Should I Buy & What Do They Cost? As to how many should you buy…that is a question only you can answer. It depends on how many works you intend to produce, what your philosophy is about using ISBNs, and what your cash flow is. Here are a few facts to help with the decision. Remember, this is for dealing with books only, not music or any other product. Kindle digital book (mobi) X ? Any variation of the print books, for example, if you choose a 5 x 8, and a 6 x 9, you’ll need separate ISBNs. If you decide to produce a book with large print you’ll need a separate ISBN. Foreign languages need separate ISBNs. Any significant changes to text/content needs a new ISBN. Change in title needs a new ISBN. Changing the binding requires a new ISBN. Changing vendor who prints books. The decision to use your own ISBN or even whether to use one at all for digital books, is a decision you’ll have to make. Below are a few suggestions that you might consider. If you plan on only producing one book and budgeting is a consideration, you might consider an ISBN from a supplier like CreateSpace or IngramSpark. If you just want to print a book and don’t intend to sell it online or through stores, then you don’t need an ISBN. If you plan on a long-term strategy of branding your publishing company, you probably want to purchase your own ISBNs. If you are concerned with long-term visibility and discoverability through SEO as well as customer, bookstore, and library searches— you should buy your own ISBNs. If your strategy includes aggressive penetration into the brick-and-mortar stores and/or libraries, you definitely should have your own block of ISBNs. Remember, once an ISBN has been issued it can’t be resold, re-assigned, or transferred. An imprint can be assigned, but the original purchaser will be listed as the publisher of record. Back To The Original Question—How Many ISBNs Should I Buy? This all depends on your cash flow and long-term strategy. I’ll give you an example from my experience. A few years ago, I bought 10, thinking that would be good for a long while. But now I have 10 books out in both digital and print. That has taken up 20 ISBNs. I plan on doing audio books, which will take 10 more. I am working on getting them translated into at least two languages. If successful that will require 20 more. That brings me up to 50. And I plan on launching 5 books next year. If they all follow the same path, it will add 25 more ISBNs, bringing the total to 75 ISBNs. When I started I hadn’t thought of all this. If I had I would have purchased 100 to begin with instead of 10, and then 100. It would have saved me about $200. In the chart below, I’ve listed the standard sources—Bowker and Nielsen—but also listed CreateSpace and IngramSpark for those who aren’t concerned with being the publisher of record. Please note, there are no discounts for quantity with CreateSpace or IngramSpark. Speaking of money, it was only about one year ago that Bowker would sell 1,000 ISBNs for $1,000—now it’s $1,500—a 50% increase. Not bad. An ISBN is required for print books. You don’t have an option. If you use the free one or the $10 one from CS, you cannot use it elsewhere, which means if you decide you want to take advantage of Ingram’s distribution later on you’ll have to buy another one. If you use the $99 ISBN from CS, you can use it elsewhere, but only if you don’t opt for expanded distribution. I don’t see the benefit of using a CS $99 ISBN, especially when you can buy one from Ingram for $85 or even better, 10 from Bowker for $275. Do You Need an ISBN for eBooks? They make you look professional. They make your books easier to find (more discoverable). They get your books into more places. They have not been proven to increase sales. It’s an antiquated practice that isn’t needed for eBooks. Let’s analyze the pros and cons. No question that to do ISBNs the right way, they cost money. But it’s not much if you invest in at least 10 at a time. I don’t think there’s any doubt that they make you look professional, but some would question whether that helps sales. I would like to think they make your books easier to find, but that might be a minor point only true for a very small percentage of people. The primary plus for me is that using an ISBN for eBooks will get you into more places, which means potentially more sales. And one of those places are libraries. Libraries are becoming more of a factor in eBooks, and OverDrive is the biggest supplier to libraries in the world. OverDrive requires an ISBN. If you choose not to have them for your eBooks, you’re cutting out a major distribution channel. OverDrive services more libraries and schools than anyone in the world (more than 30,000), and they also supply books to retailers around the globe, including Books-A-Million, Ciando, etc. Sales in 2013 were more than $100 million. That’s not small change. And if you need more convincing, take a look at this news from Library Journal in a January, 2015 article. Public and school libraries that are part of OverDrive’s global network circulated 137 million ebooks, digital audiobooks, and other digital media in 2014—a 33 percent increase compared with 2013, according to statistics released by the company. Ebook circulation rose 32 percent, to 105 million, while digital audiobook circulation grew 38 percent, to 32 million. The OverDrive network also recorded 401 million visits to public library and school library websites powered by OverDrive, a 77 percent increase. Another thing to note is that OverDrive has an app and a presence on every major mobile device. This is not a stodgy old company living in the past. And, of course, big publishing knows that. But if you’re an indie without an ISBN assigned to your eBook, the doors to OverDrive distribution and sales will be locked. Indie authors can get into OverDrive through Smashwords, and eBookPartnership, among other distributors. You may choose to disable the free ISBNs, but this will block your book from distribution to some sales channels unless you provide your own ISBNs. We require ISBNS for iBooks, OverDrive, Kobo, PageFoundry, and ’txtr. I know what some of you are thinking…that you can get a free ISBN from Draft2Digital, and that will solve your problem. You’re right. But what happens if you decide you want access to the retail channels Smashwords distributes to that Draft2Digital doesn’t? No problem, you simply get the free ISBN from Smashwords. But then you see that Bookbaby has some great channels that neither Draft2Digital or Smashwords distribute to. And then you notice eBookPartnership has even different channels. And the list goes on and on and on. Pretty soon, you end up with four different ISBNs for the same book, and a few of them you might have had to pay $15 or $19 for. Now let’s throw another wrench in the mix. Suppose you sign up for Bookbaby or Draft2Digital and use their ISBNs, and six months later you decide you don’t want to use them to distribute your books anymore; you want to use Smashwords. No problem, right? Now you’ve got books with Bookbaby-assigned ISBNs or Draft2Digital-assigned ISBNs, and guess what—you can’t use them anywhere else. If multiple vendors supply retailers that require ISBNs, you could end up with a mess on your hands. Wouldn’t it have made a lot more sense to just buy an ISBN yourself? Not only would you have access to all channels and retailers, but you’d look more professional, too. Whether to use ISBNs on ebooks is a personal decision. You have no choice if print books is part of your distribution strategy. Some authors take the least expensive route and, in many cases, it hasn’t affected sales a bit. Other authors buy blocks of ISBNs and adhere to the same practices that traditional publishers have used for years. I don’t have a lot of personal proof that using ISBNs for ebooks will drive tons of sales, but I have no doubt that it will. The book business is continually changing, and the ways that people read books change with it. Add up the numbers with OverDrive, Scribd, Oyster, and others. A lot of books are being read and bought on these platforms. The question you have to ask yourself is—Will you be one of them? As for me, I’m one of those authors who tries to keep everything in sync, so I use ISBNs for all my books—print and ebook and soon to be audio. Will it help with discoverability? We indies are competing with traditional publishing on all fronts, and that means not just with storytelling, but with editing, book covers, layout, distribution, etc. We have to come across in all ways as professionals. To me, that means having ISBNs on all of my books, with my company listed as the publisher of record—not CreateSpace, or Smashwords, or Bookbaby, or anyone else. As I said, I don’t know if it will help me sell books, but it definitely can’t hurt. I’m willing to invest that much to find out. Very comprehensive. I’m just a little foggy on some terminology. I’ve been living away from my native country for a long time. in a publishing context, I suspect these things have a special meaning. Can you be specific about these things? WOW! Finally, a full-out, thoroughly researched and fantastic article. THANK YOU! For answering so many questions. Thank you thank you thank you!! This was incredibly valuable and insightful to ready! I bought ISBN for $20 from ISBN company, but have not completed the form to register it for my book. The book is ready (printed edition), and I would like to put it in a specific on-line self-publishing bookstore with this number, simply to look professional, and later, maybe provide the book info for this ISBN, or get my own ISBN. Eventually, I am planning to distribute the book through Ingram, but at this point, use the above-mentioned on-line store for experiments. Are there any drawback to such an approach? I wish I could figure out from Bowker what my entry will look like to bookstores, libraries et al. I seem to recall coming across an article discussing the fact that the “Main Description” entry can be formatted so that it will look more interesting to these readers (bold, headlines, bullets, etc. Of course, Bowker tells you nothing about how to do that. Is there a resource that is useful for this? Thanks. I had the same reaction. I had to fax them payment information and their website said they would email me with my ISBN numbers. They didn’t; after puzzling for quite a bit, I did figure out how to get back to the registration/sign in page (no link to it from the main Bowker page), where I found out they were available. I guess when you have a monopoly you don’t have to worry about doing anything right. I wish to buy my own ISBN’s for print & ebook but am confused how to list myself as the publisher… I do not have a publishing company. Do I just use my name, or is it better to use my dba company name that is an LLC that also includes classes I teach? Where are the answers to all of these comments and questions? Could you please help me understand. If I submit my DBA as the publisher, do I need to provide my address and phone number for the DBA Publisher’s name? Please tell me who receives andhandles inquiries and orders for my books?Do I receive the orders and then place the order with the printer Or, does a bookstore contact the distributor, printer and place the order? I am trying to self-publish my first book as an ebook. I live in Indonesia (foreign worker), but my book is in English, and I expect most sales will be in America and Europe. To buy 10 ISBNs on the Bowker website, I have to give an address and state in the USA, which I don’t have. Any suggestions about how I can get my own ISBN? Awesome article. I have a random question as I am about to self publish my first book. If I buy an isbn and barcode from bowler, do I then have to get my graphic designer to put on back cover or do you upload it to Igrimspark and they do it for you? Anyone with experience with this place answer if you can as I can find no answers for this anywhere. First, do not buy a barcode; you don’t need to. Go to my blog on it and read: http://nomistakespublishing.com/need-barcodes-books-2/. And your designer will have to put it on the back cover for Ingram, but not CreateSpace. As I understand, ISBN is to digitally monitor or track the product, which is the book. Does it help in copyright issues? For example, I have a registered copyright with my book and title in my name. I have not decided on the book design as yet (5×8 or 6×9, cover type etc.). Ideally I would like to secure all my ISBN for my book title, and I would need say a block of 10 ISBN ( since the book design is uncertain as of now). It is worth the trouble only if it helps me secure my copyright aspect as watertight. 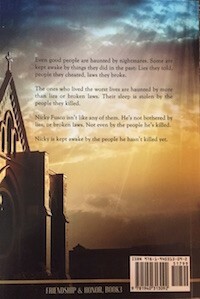 The insecure, indie author in me feels that if I have blocked a set of ISBN for my title, for 4possible formats, 2 variants, then I have secured my property ( book content and title) and I can freely discuss my book without the fear of any loss or misuse of my content, during or even after the production. Thank you for any help on this. I started publishing my books when I lived in Finland. The National Library service there handles ISBNs, and they are completely free. The only obligation is that you must submit six copies in every format (ie for each ISBN you use), plus each digital format, to their copyright library system. This is why I still publish my books through my Finnish-registered company, despite having moved to the UK. Great article! Thank you, thank you! Wanted to know if a paperback and ebook need separate ISBNs and I got the answer. I uploaded my own ISBN when I uploaded my book to CreateSpace, but they put their ISBNs on the book. Whaa? I am about to upload the third in the series, and I will again put on my own (purchased) ISBN number–but how can I prevent CreateSpace from changing it again?? Thank you for this extensive guide to ISBN’s. I now feel much more educated on ISBN’s, but with more knowledge comes more questions, right? Haha! Previously (for my first three novels), I have purchased the Custom Universal ISBN through CreateSpace (CS). Moving forward, I am considering purchasing my own bulk package of ISBN’s through Bowker. My first question is: If I purchase my own ISBN’s, should I update the ISBN’s from my previously published books with my own ISBN’s? If yes, what are the pros and cons (for example, how does this change affect each novel’s listing on Amazon–will the reviews carry over to the new ISBN or will it become a completely new product? How does this affect algorithms?)? As an owner of my own ISBN’s (whether I use CS, Ingram Spark, Lightning Source, etc.) will I be responsible for my own barcodes or will each publisher continue to offer that feature using my ISBN? I have learned first-hand that many book retailers (small, medium, and large) do not care to do business with CS (as you’ve mentioned). If I own my own ISBN and am listed as the publisher, do the book retailers also look down on me because I am a small self-publisher? Secondly, if I am listed as the publisher but CS still prints the book, is the book retailer unable to know that CS is the printer–if they do know, I would assume they would still not wish to order my books, right? Can you still buy ISBNs from Bowker even if you don’t like in the US, or would that be illegal? Thank you for this great info! I’ve been so overwhelmed…and my book is almost ready to print. You made a crazy subject actually seem more understandable…thank you! I always enjoy the information shared on this website. It is straightforward, thorough, unbiased, and reliable. Having read many other perspectives and reports regarding ISBNs, your information made my decision a clear choice and I will ultimately purchase my own. As a forward thinker, your detail regarding use of ISBNs put things into a palpable context. Thank you. There are a lot of things more important in life than making money. I don’t like ads on websites. So do I just go ahead and register the new format at Bowker, the way I did ebook & print, and then use the ISBN everywhere else, presumably? I’m especially keen to get this one into Smashwords, through which I can reach Overdrive. I’m a great consumer of audiobooks from Overdrive through my library, so I want my books to be there too. Sorry for being so late to reply. If you haven’t already acted, yes, what you propose should do the trick. Every version of book: audio, print, ebook, large print, etc. needs a different ISBN. We are just about to publish our first book through Ingramspark. We have purchased our ISBNs for hardcopy and ebook. Our book designer has now asked if we want to include the ebook ISBN on the copyright page (clearly marked as such) as well as the paperback ISBN. She said she has seen it included sometimes and sometimes not. I am wondering which is more conventional at traditional publishing houses, i.e. what is the norm. We are wanting our books to look as professional as possible. I include the ISBNs for both versions on the copyright page. I loved the point about ISBNs for eBooks making them more discoverable even if only by a small percentage of people, because I am part of that percentage. I actually have used ISBNs to locate other books published by the same publisher. I learned how to figure out what the next check is so that I can just put the ISBN in and find the next book. Thank you for this useful post. I started out with self publishing without knowing too much and took the free createspace ISBN. Now that I am more familiar with the process and understand the importance of an ISBN, I now have a problem with what to do with the previous books and ebooks that sell on Amazon, print books all caring createspace ISBNs and ebooks were given some version of Amazon’s ISBNs. What a headache. I have decided to buy a block of ISBNs but I am confused in what to do with the previous books and how to go about converting them if that is even possible. I currently have 5 books along with 5 ebooks. Please advise. When referencing the ISBN number in the front matter, using createspace (and we purchased the $99 ISBN), can I use the 978- European number, or do I print the 10-digit US number. I didn’t think it mattered but wanted to doublecheck. Thanks for all this info. Very helpful. Nope, doesn’t matter where your ISBN is sourced – it’s an international standard. So that makes life simpler, thank goodness! Many thanks for this informative and comprehensive article. It cleared up a lot of questions for me. glad it helped. Let me know if you have more questions. Why the push to get into libraries? Aren’t people reading your book for free? So what is the value in that profit wise? Thank you for this informative and easy to understand post. When purchasing ISBNs myself do I have to have a “real” company. As in, a company that is registered, licensed, or what have you or do I just make up a name and that’s it? How does paying taxes work if I make up a company to purchase ISBNs and then earn money off my book sales? Thank you very much for the article! Very useful! I am searching for Is ISBN required for ebooks? and this article clear my doubt. Thank you so much. I am self publishing my book. My printer is in India. Do I require ISBN from an Indian agency? Or can I apply ISBN from a US agency and mention it on the Copyright page? I just learned today that as a self-publisher, writing in English, ISBNs must be registered with the ISBN agency in the country where you are officially resident. For me, who is resident in Switzerland, it means that the registration process has to be all in French, in which I am far from fluent, especially when writing in it. AND all the information and rules concerning ISBNs were also in French. Thanks. Very informative. I appreciated the comments following as well, for they helped clear up a couple of questions generated by the blog post. I have already purchased a block of numbers, but was questioning the need for seperate numbers for Smashwords and Kindle. Seperate numbers it is for me. Necessary? Probably not, but I need every possible advantage, and for the price difference of adding one different number, I don’t see the advantage of pinching that particular penny. Feel free to write if you have questions. I don’t monitor this site as often as I should since I got sick. This is a very eye-opening article. I’m so glad I found it. I never thought about the professional-looking aspect of it. I have a lot to think about. WARNING BEWARE OF GETTING THE “MOST POPULAR INDEPENDENT PUBLISHERS PACKAGE” $55 FROM PUBLISHERS SERVICES. http://www.isbn-us.com On that website page they do state that ““Independent Publisher” is referenced publisher- Ideal for direct to consumer sales” What they do not state is that this ISBN number is useless for Create Space. If you get your own ISBN number, you must state that you are the publisher, which is not allowed on this very deceptive package. You must go to the $125 Publishers Package which has listed down at the very bottom of the list of benefits, “Create Space”. After three phone calls to David, very charming man at Publishers Services, in which i was trying to figure out what the problem was…why Create Space would not accept my ISBN number…and 3 phone calls to Create Space, I finally found someone at CS who directed me to Bowker, the actual publisher of Books In Print. They told me I had purchased the wrong type of ISBN…all it could list was Independent Publisher. I went back to Publishers Service and the still charming young man and asked if I could upgrade my number, no. Could I get a refund, no. Once again he tried to convince me that I should just take the freebie offered by CreateSpace and go away. I asked to speak to a supervisor and was put on hold. I am positive that the time was used to explain my complaint, because when I spoke to impatient, curt Patti she had loaded the page on the $55 package and essentially implied that I hadn’t paid attention to the warnings that the ‘Most Popular Package’ could not be used for Create Space and that somewhere elusive there was a notice of the purchase being nonrefundable. (The only notice I could find was the absence of ‘Create Space’ o the list of benefits. I am certain that the charming David knew on the first phone call what the problem was and tried to divert me into taking the CS offer, rather than just admitting that their presentation had been deceitful. I went to Bowker at https://www.myidentifiers.com and purchased the $125 package. We’ll see if that one works. Giacomo, you wrote a fantastic article, very detailed. I have a question. A year ago I read a few articles that mentioned writers clubs buying a block of ISBN’s to sell to their members at steep discounts. I cannot find that info at present. Have you run across that? I would like to share that info with a few hundred writers to save them some money. Thanks for your input. Sorry. I just saw this, Dennis. I don’t know anything about that particular offer. I’ll try to find out. Thanks for the great information on ISBNs for self-publishers. causing huge decrease of property and quite often life also. do. Smoke alarms consist of simple smoke detectors to more thorough security systems with fire doors along with effective features. 5 was released with performance enhancements and increased support for object oriented programming. Thank you for an excellent and information article. Might I resell ISBNs I buy? I am in the UK, might I use a free ISBN from another country? Rory: Sorry for the late reply. No, you cannot resell ISBNs and you need to use the ISBNs from your own country. Giacomo — I hope you’re doing well… when you said that ‘you cannot resell ISBN’s’, were you referring to the one individual who asked the question, as being a member of a class of ‘individuals’ with no business standing, or were you saying that in general, ISBN’s cannot be resold? I’m wondering about the reseller companies like ISBN Agency, which buys in bulk from Bowker & then resells those numbers to individuals at a big discount over what you might have to pay to buy one direct from Bowker. This topic of resold ISBN’s that supposedly Amazon will take, is different from the issue of obtaining one from CreateSpace. If the publisher of record is the middle-man, & if they give you permission to use your own publisher name, instead of theirs, will this still create some kind of a problem with distributors? If the one number is tied to my one book, & I say that I’m the publisher (who is also selling the book on my own ‘publisher’ website), then who cares that the middle-man’s name was listed for that number when they bought it in bulk from Bowker? Is the fact that their name is what Bowker has down as the ‘publisher name’ going to be a problem for me with my use of the number? Believe me, I would just go the CreateSpace route if they had spiral binding, which my book MUST have. So I have to seek out the best deal for an ISBN that I can find, & so far the best deal appears to be this resold number from Bowker. They claim that it can be used just fine with Amazon. Please weigh-in on this issue. Thank you very much, Jim. A hugely informative post. Thank you for providing the detailed information for ISBNs for countries who must buy them. I live in Canada, and they are free. I wrote a post about how to obtain them as a Canadian citizen, but I didn’t have a lot of information about how others outside of Canada got them. I wrote it in 2012, and it still applies. There is less information to complete now when you assign an ISBN, so it’s easier. As you mentioned, it only makes sense to get your own. If you are in it for the long haul, it will definitely be worth it in the end. Hi Jane, you “can” do whatever you want — you’re indie! But best books business practice is to use a different ISBN for different formats. If you think about what an ISBN is used for, it becomes clear. Supposing I’m a librarian and I want to make the EPUB version of your book available in my library, together with the hardback. The ISBN is how I will be able to distinguish between the various formats of your books on offer, automatically, through the established process in place. I don’t want the .mobi or the softback, but without a different ISBN for each, how do I distinguish without having to contact you — which could well be enough to put off the librarian, or bookstore owner, or whomever is interested. You can use your own ISBN no matter where you publish. So, with Smashwords, Draft2Digital, and any other. Yes, I use all my own ISBNs and you only need one for each ‘type’ of book. The distributor doesn’t matter, so you could use the same ISBN with Amazon, Apple, Nook, Smashwords etc. Unfortunately nowadays April 2018) Smashwords and Draft2Digital insist that you must give their eBook a different ISBN from another aggregator, which is surely an incorrect attitude. Spoiler: definitely not necessary for ebooks. I guess it can help get into libraries, but libraries aren’t fans of indie authors anyway. Fact is, no major retailer requires ISBNs for sales, and if you’re relying on ISBNs for discoverability, you have greater problems. On the contrary, many libraries throughout the US and the UK are now actively seeking good self published titles. As are many independent bookstores. If indie authors want to be part of the wider book business (outside online retail), ISBNs are necessary. (Of course many indies do not, and are happy to sell only ebooks online through one retailer; it’s the author’s choice.) Because one of our main aims at the Alliance of Independent Authors is to see indies take their rightful place within the wider industry, we recommend that authors own their own ISBNs. ISBNs are not a marketing tool, a discoverability tool, or anything like that. Owning your own ISBN is simply a piece of business housekeeping that gives your book the best chance within the industry, and establishes you — and not your retailer — as the publisher of record, if that is something you care about. Will: thanks for the note. While a lot of what you say is true, some needs further evaluation. Libraries are indeed becoming a factor. In the past year I have gotten almost 30 books into libraries. Not many, I know, but the commission alone is enough to cover quite a few ISBNs if you purchased 100 at a time. ALso, if a bookstore, or anyone else does a search for my books, they’ll see the same publisher for all my books with every retailer. If I went the route of letting the distributor do it, it would show different publishers for Smashwords, Draft2Digital, Bookbaby, etc; I’d rather look professional even if it costs a few bucks. so you didn’t read their article, but you want others to ready yours? hm. so rude. and your info on libraries and indie books is outdated. e-Books that do not contain an ISBN are charged 22% VAT, while e-books with an ISBN are charged a rate of only 4% – which makes a book without ISBN more expensive for the buyer / less revenue for the author. Italy has implemented new legislation that charges a higher rate of VAT on e-books that do not have an ISBN. A couple of other small amendments to add. OverDrive no longer supplies Waterstone’s as the Waterstone’s ebook store is now closed. In similar vein Smashwords no longer supplies Oyster. Thanks Mark! Jim will amend, just getting back into the swing of things. True, Mark. I started writing this before those changes happened, then I got sick. But that’s no excuse for not fixing it. Thanks for the update. Newbie question, please bear with me. From what I read a good fit for me would be to buy and control my own ISBNs. Do I need to be a formal publishing company or can I do that as an individual? My books are in english but I am from another country, so I’m worried about the legal and financial ramifications of owning a company in the US. You need a company name but as long as you are established as a sole trader (i.e. registered for tax purposes) that works. But what country are you in? Many governments provide ISBNs free of charge. Very helpful post! With all the issues of piracy, plagiarism, etc., I wonder if one could consider an ISBN (along with filed copyright) as another form of protection should you find yourself in the situation of having to prove, protect ownership of your work? yes, it gives you a proven date of publication …. though we recommend ignorning piracy issues and just concentrate on writing and publishing. If you’re prolific, why not buy a block of 100 for $575? Because if I get to 101 uses, then I would need to spend another $575. If I buy a block of 1000 (which I did) at a time when it was only $1000, then as soon as I hit 101 units, I’m better off. With 7 novels and several shorts, in all the formats, I’m already using more than 50 ISBN units, and at 4-8 titles/yr times 3 formats (print, epub, mobi), I’ll easily hit 100 in 2-3 years (novels & shorts). It’s not just libraries that need universal identifiers — so does all commerce. We’ve barely seen the beginnings of online retail worldwide for print and ebooks. Right now we’re pampered by Amazon/Kobo/Apple and a few others and think that’s the whole book world we need to accommodate. ISBNs are just a special case of SKUs. ISBNs exist for exactly the same reasons that all businesses which trade in products require identifiable SKUs (Stock-Keeping Units). Pick up any product from any store and you will likely find such a product number, and a bar code to go with it. The SKU for the blue sweater in size 12 is different from the one for the blue sweater in size 14 or the red one in size 12. The SKU always identifies a single instantiated product, not a range of products. It’s used to eliminate any ambiguity about what the customer wants to buy [which is why there’s a recommendation to have different ISBNs for different ebook formats]. What makes the book trade different is that it was able to organize an SKU standard that travels with the product from the manufacturer all the way through the retail system, worldwide. That is a very remarkable achievement, unique to media. Because of that, all the players in the book trade, from manufacturers to wholesalers to bundlers to retail outlets are able to use the same SKU for the product along the way. That doesn’t mean that a retailer might not also assign a private SKU to an item (e.g., Amazon’s ASIN) for its own use (Amazon sells a lot of things besides books and they all have an ASIN number). But retailers who only sell books can use the item’s inherent SKU, its ISBN, as the product number, and many of them do. Think of a small retail store, perhaps online only, somewhere in Poland. It sells ebooks and a few book-related items (readers, perhaps). All it needs for SKUs are the ISBNs the ebooks come with and a few assigned SKU numbers for its other goods, like readers, which it will assign using the EAN-13 standards (which have the same format as ISBNs). Its accounting system can use the ISBN as the SKU for each item it sells. it can order ebooks from aggregators and wholesalers and distributors using the universal SKU system they all understand: the ISBN. Really useful, many thanks. I went a similar route – bought 100, use 1 per paperback, e-book and audio version (so 3 ISBNs per book written at present). There was lots of learning and many hoops at the start, but it should be a fairly future-proof system now. You briefly mentioned including the price in the barcode but I’ve never done that because I imagine a whole article could be written about the pros and cons of that alone. In my case I just want one barcode, and am selling to the US and UK and elsewhere, so whatever currency I chose would be wrong for some markets. That means it is just easier to avoid all that and skip the price in the barcode, though others might differ in that view. I’d noticed that too, and ignored their recommendation. In Nielsen’s case it is more to do with them not tracking Amazon sales I think, so isn’t a benefit to the author. I just use one ISBN for the e-book version. If you went down the route of different ISBNs for filetypes (even though the content is the same) you’d also need one for PDF, one for online reading, one for .docx and so on if those formats are available – plus yet more as new formats become available. Likewise with audio books, just one ISBN, even though they may be downloaded in mp3, wav, some proprietary format, online streamed etc. If the content is identical it would be a waste to have to use multiple ISBNs for every change in file suffix. One issue in the UK is that Nielsen say that you have to register for their title editor and add details of each book to that – I just discovered that there is no need or advantage to that, since it seems my books were added by my distributor (Ingram Spark) anyway. I wish I’d known that at the start, it would have saved weeks of back and forth creating an account with Nielsen, which I’ll probably now spend weeks trying to close! As a note, apparently Amazon no longer offers the $10 option as of sometime recently. Another author pointed out the option wasn’t available, and I checked the CreateSpace website and it is indeed gone from the options and documentation. I didn’t know that. Thanks for pointing it out. I’ll amend the post.